Leave a question for Kelly and she would be happy to help you! 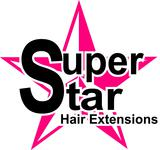 We know at Super Star Hair that extensions are as unique as you are. We offer a wide variety of types of extensions, as well as many different application methods. During your complimentary consultation, we will determine the right extension for your lifestyle.